I was all set to go on another sushi adventure to Steveston, but unfortunately, my school day ran a little longer than expected. By the time I arrived at Metrotown, the skies were already darkening, and I was so famished that I didn't have the energy to sleep on any more buses (if that makes any sense). Perhaps having only a bowl of instant noodles for breakfast and a frappuccino for lunch wasn't a good idea after all. 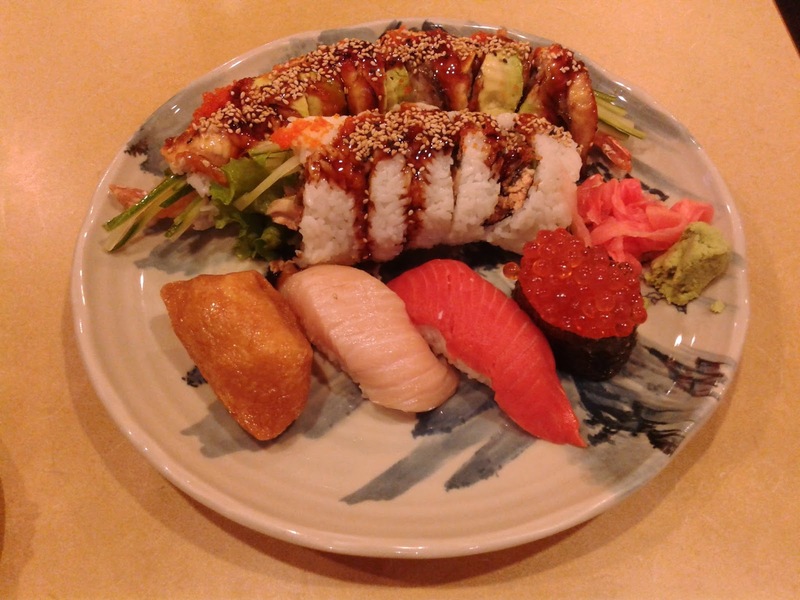 I had to cut my trip short and just dine at a random sushi restaurant near Metrotown. The first one I came across was Asakusa Sushi, and seeing that it was quite busy, I decided to step in and give it a try. 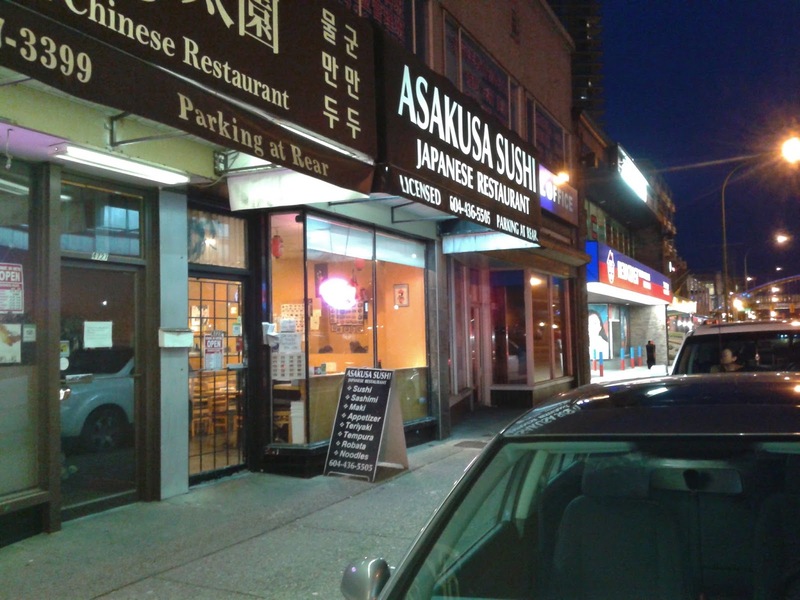 Asakusa Sushi is one of the few Vietnamese-operated Japanese restaurants in Greater Vancouver. The menu was filled with cheap lunch combos and dinner combos. Looking at the tables beside me, I also saw that the sashimi cuts were quite generous. 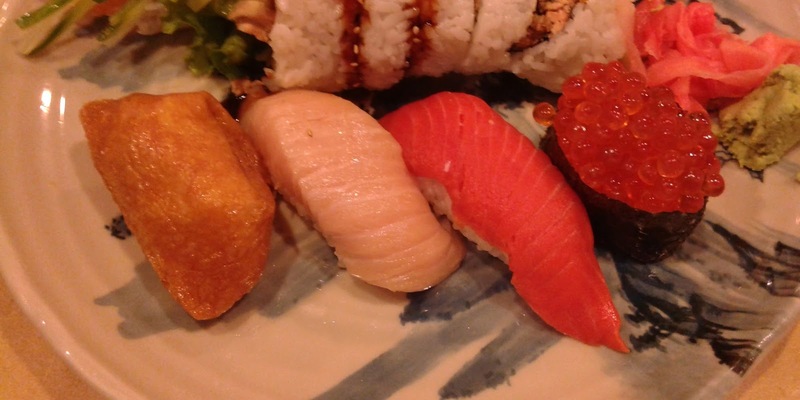 Unfortunately, they didn't have an Appetizer Sashimi, so I went for the nigiri instead. I first had the Dinner #2 combo (Tempura, Beef Teriyaki, and a BC Roll), which came with a Miso Soup. 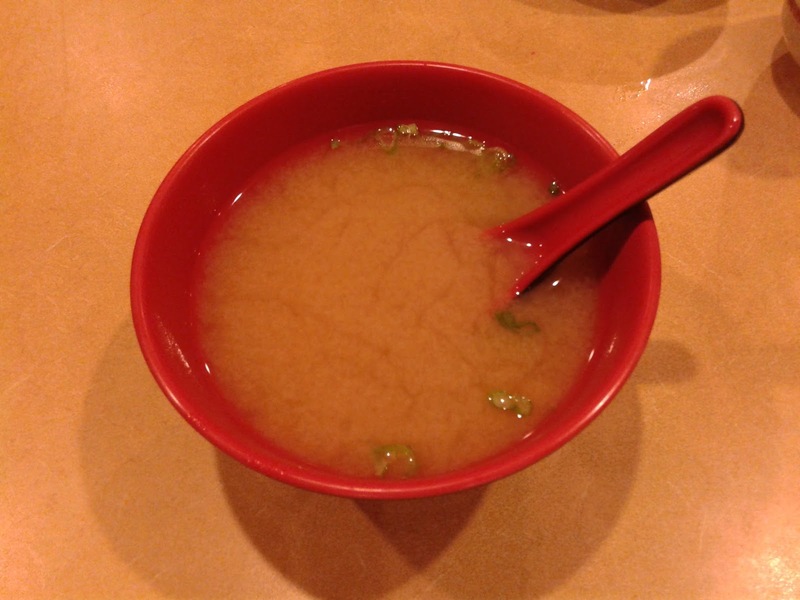 The Miso Soup contained green onion, seaweed, and tofu. I liked how it was not too salty, but the miso paste tasted a little off. It reminded me of a broth rather than regular miso paste. 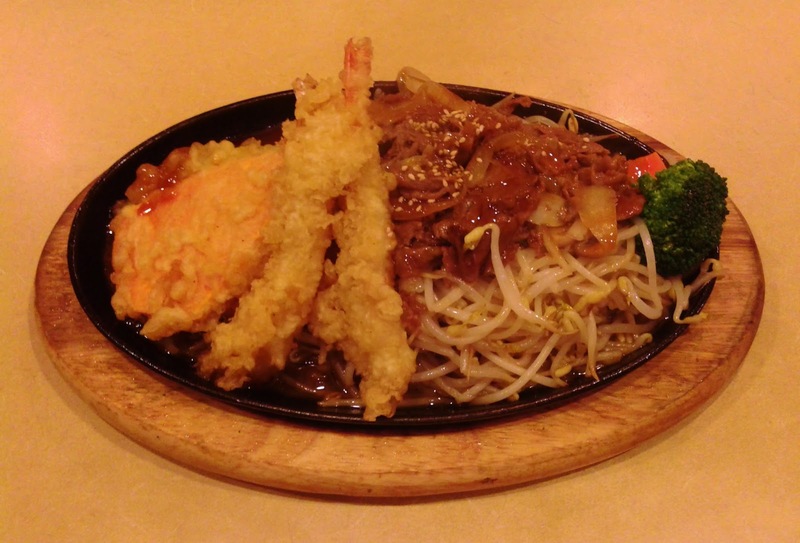 There were two pieces of prawn tempura and one piece each of zucchini, eggplant, and yam. The underlying ingredients were fresh, juicy, and savoury. The prawns were the best of the bunch, but they were coated with way too much batter. The vegetables, on the other hand, had soggy batter due to the teriyaki sauce. I couldn't really decide which I preferred. Moving on, the beef in the Beef Teriyaki was rather tough, although it was sliced thinly. There was an unsensible amount of bean sprouts underneath, which were drenched in teriyaki sauce. Overall, this was not a very carefully prepared dish. The rest of my order arrived on a large plate. On the plate were some of the largest pieces of sushi I have ever seen. I first went for the nigiri, and the Inari Nigiri was well-seasoned with sesame seeds inside to enhance flavour. The inari was on the thinner side, but it had a nice sweet flavour. Up next, the toro was fatty and enjoyable. However, the sushi rice was a big no-no. It was too tightly packed, bland, and rather dry. The sockeye salmon was mediocre and lacked a smooth texture, and to top it off, the fish-to-rice ratio was very wrong. The ikura wasn't much of a relief. The seaweed was very tough, and I actually had to use my teeth to bite open the salmon roe. Well, at least my teeth got its daily physical activity, though I wonder whether teeth need to be exercised. 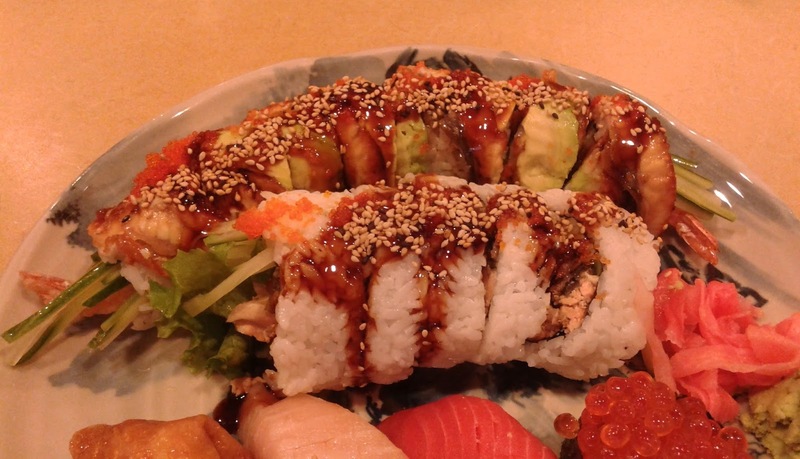 The Dragonfly Roll was a large roll consisting of a dynamite roll with unagi and avocado on top. The roll was garnished with sesame seeds, masago, and some unagi sauce. The unagi was sliced thin and rather flimsy, but it did have a sweet flavour. However, the imitation crab meat inside was substandard and tasted a bit powdery. Finally, I got to the BC Roll, and each piece was literally as big as a hockey puck! I wasn't sure how I could tell whether the flavours worked together unless maybe I tried to do the chubby bunny challenge with it. The cooked salmon inside was soft and flaky. There was a bit of sauce on top, but the center part of the roll was quite weak in flavour. Oh, and how could we forget the bland, mushy rice on the outside? I used to go here fairly regularly when I worked at the office tower at MoTown. Asakusa was ok, and since I was a familiar face they treated me nice and always made sure I got a good seat (window). I later started going to Yakko Sushi just on the other side of Sussex Ave because they were even cheaper (at the time). Asakusa seems to have decent ratings from most online sources too, so I'm wondering if I just went on a bad day. I shall try Yakko sometime as well! It looks like an affordable place, unlike the place I went to today where I spent $50 on lunch!